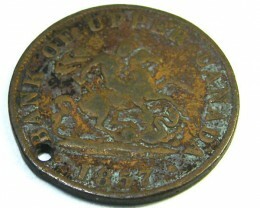 Many forms of currency were been employed during the Australian colonies after the occurrence of the first European colonist since 1788. During those years, barter was indispensable, and payment in merchandises like rum sometimes substituted currency in transactions. Some of the first authorized notes found in Australia were produced by the Bank of New South Wales in the year 1816. After a successful partnership in 1901, when Australia became an autonomous nation, the federal government became accountable for such currency. 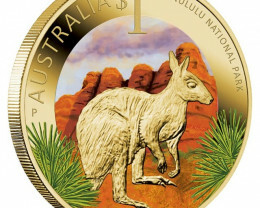 The Act for Australian Notes was approved since 1910. During 1913, the first set of Australian notes was issued which, was based on the previous British structure of twelve pence to a shilling, and twenty shillings to a pound. The $100 note pictures out the world’s well-known soprano Dame Nellie Melba from the year 1861 until 1931, and the famous engineer, soldier, and administrator John Monash from the year 1865 to 1931. Meanwhile, the $50 note signifies the inventor and writer David Unaipon began from 1872 to 1967, and Australia’s first lady and parliamentarian, Edith Cowan from 1861 to 1932. On the other hand, the $20 note features the creator of the world’s first in-flight health service, John Flynn from 1880 until 1951, and Mary Reibey from 1777–1855, who came over in Australia since 1792 and became a flourishing shipping entrepreneur and humanitarian. The $10 note shows the poets “Banjo” created by Paterson from 1864 until 1941, and Dame Mary Gilmore from 1865 to 1962. The $10 note is incorporated with printed citations of Gilmore’s and Patterson’s work. However, the $5 note represents Parliament House in Canberra and Queen Elizabeth II. 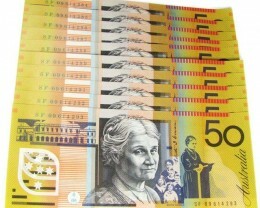 Australia’s notes are published by Note Printing in Australia. Other publishing houses were established for a vast number of other nations such as Singapore, Indonesia, Bangladesh, Kuwait, Chile, Brunei, Nepal, Mexico, and many more. Most of these above mention countries are illustrating a tough interest in the latest technology. With printed polymer, Australia’s banknotes comprise a variety of other safety features considered to fight counterfeiting. 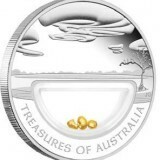 Complete details about the safety features and how they can be applied to endorse their banknote are accessible from the website of Reserve Bank of Australia. The condition or grade of a banknote is a matter of judgment more than a concrete science. There are specific guidelines that are currently used, which have been believed a reasonable one. However, there is still one specific guideline. The grading system usually starts with one hundred for any uncirculated banknote then, removes five points for a crease to a tear. 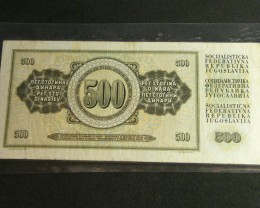 The main issue is that the situation of a dirt stain can cause a lot of dissimilarity to the worth of a banknote. Moreover, the most famous system of grading banknote in Australia is accepted by the British Museum. The grading system begins with “Poor” which, simply means the banknote is strictly smashed. The next grade is “Good”, which is the actual condition followed by that the banknote is “Bad”, which means that the banknotes are totally damaged. However, they make the grade as “Good” because the printed design is comprehensive. Then, becomes “Very Good” which, simply means the banknote is not fairly valued or worthless. 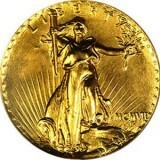 The first three mentioned grades should be evaded by the financier, unless it is a rare banknote. The next grade is “Fine” which, have a lot of things in general, they are attractive, with no rigorous damage on the banknote. 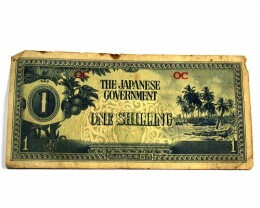 However, a banknote that belongs to a grade of “Fine” will illustrate extensive evidence of transmission, grooves, and other combined upshot that should not have a destructive effect from the general appearance of the banknote. 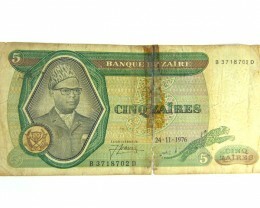 A banknote that falls into “Very Fine” grade would be acceptable especially for some massive investors. With this grade, the banknote will illustrate clear signs of circulation, numerous folds or otherwise it will become unspoiled and compelling. Moreover, a banknote that falls into “Extra Fine” grade should consist of some possible indications of circulation, with six feasible folds, and crease marks. 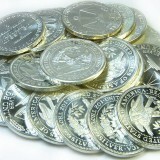 It has a closer uncirculated appearance, have moistness to touch, and otherwise be unspoiled. A banknote that eligible to be “Uncirculated” grade is an ideal banknote, and there will be no folds, flicks, and blemishes found.